Are Protein Shakes Hard to Digest? 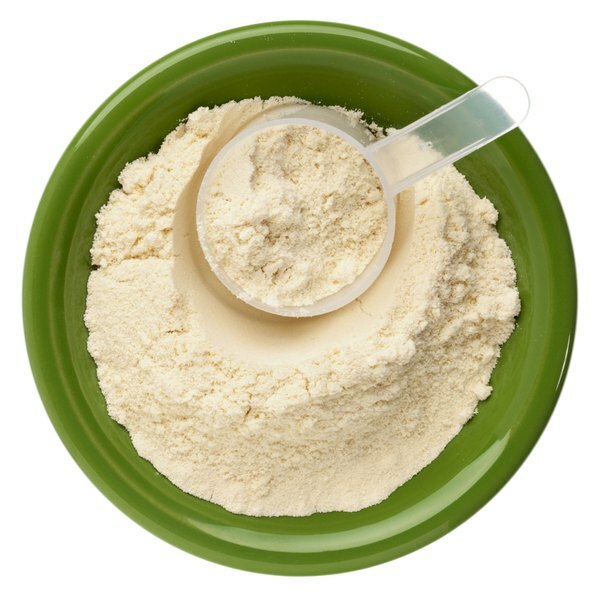 People with celiac disease, or gluten intolerance, often cannot digest whey. Normally functioning bodies synthesize the protein known as gluten when digesting rye, barley and wheat. The Celiac Sprue Association writes that when a person with Celiac's disease tries to digest gluten, his immune system launches an attack on the small intestine. Whey is a protein created during cheesemaking. According to the Vegetarian Society, cheesemakers curdle milk by heating it, then filter it to separate the solids, or curds, and liquids, called whey. A person with an intolerance to both proteins must work to find a diet that provides enough protein without compromising his or her health further. Consult your physician before changing your diet for any reason. GFCF stands for "gluten-free, cassein-free." Cassein, according to the Food Intolerant Consumer's website, is the primary protein found in milk. Casein is the solid protein filtered away from whey during cheesemaking. The GFCF Diet starts by eliminating gluten, by substituting foods without starch. Sugars derived from wheat, oats and barley are substituted for those found in fruits and vegetables. Gluten-free grains like pasta, cookies and breads fill in the gaps for nutrition. Once gluten is cycled out, the diet advises to eliminate traditional dairy products from one's diet. Cow's milk is substituted with soy, almond or rice milk. Amy's Kitchen, manufacturer of organic, vegetarian and gluten-free foods, developed a meal plan incorporating its foods that can also be adapted to a whey-free diet by eliminating cheeses and reading labels to determine whether whey is an ingredient. As many of Amy's Kitchen products are dairy-free or have dairy-free version, you substitute the non-dairy version into your diet. Amy's Gluten Free Meal Plan is a two-week program based on their line of products, plus fresh fruits and vegetables, grains, seeds and nuts. The diet is built for 1,500 calories per day and is expandable to 1,800. Alisa Fleming operates the Go Dairy Free website and authored "Go Dairy Free: The Guide and Cookbook for Milk Allergies, Lactose Intolerance and Cassein-Free Living." Her book outlines how to eliminate dairy products for people living with intolerance or allergies to milk and its components, including whey. Fleming's background in diet planning extends to people with Celiac's Disease and "Go Dairy Free" addresses how to incorporate both the gluten-free as well as dairy and whey-free diets. "Go Dairy Free: The Guide and Cookbook for Milk Allergies, Lactose Intolerance and Cassein-Free Living," Alisa Fleming, 2008. What Are the Benefits of Goat Whey? How Much Protein Is in Milk & Cheese?